Another big modification is the Front F. The problems with many “after market” Front F keys on sopranos are that they can be in the way, or can feel clunky because of lost motion. 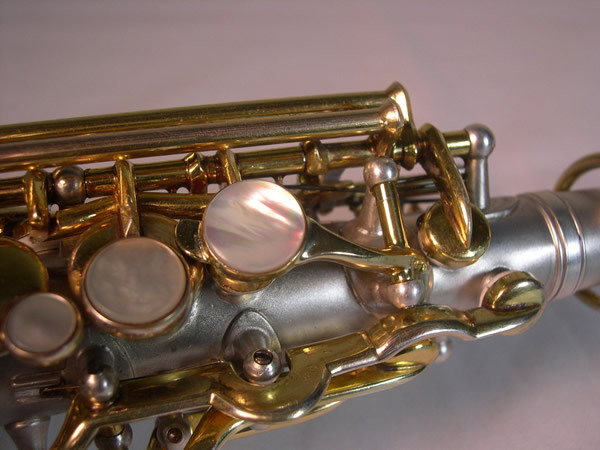 There are several styles of Front F keys available, depending on your horn’s make and model and your preference. Here is an example of a Buescher-style touchpiece with a convex pearl. This slick mechanism is adjustable, with a clean and smooth range of motion.